I am ecstatic that you’ve found your way back for part 3! We can now continue our look into the Edit and View Sub-Menus! The second Sub-Menu option, labeled [Edit], gives you context options for manipulating selected shapes and/or objects on the canvas. 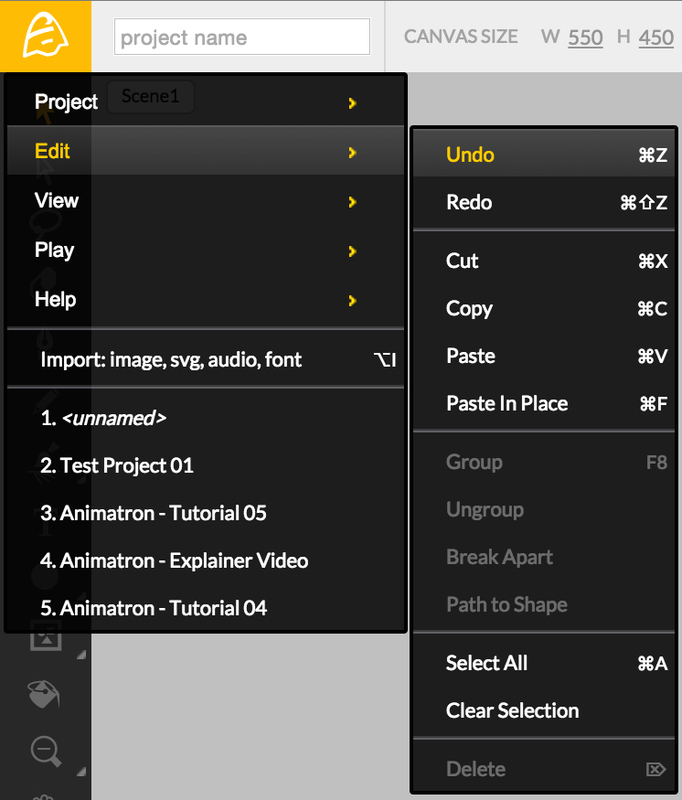 These same options, known as a Context Menu, are also available by Right-Clicking over any canvas objects or panels inside the Animatron Workspace. The next Sub-Menu, [View], allows you to access the canvas grid and snapping options. Clicking on Show Grid reveals the grid over the canvas. Grid Size allows you to scale the dimensions of the grid (the size number correlates to the pixel width X height dimensions). 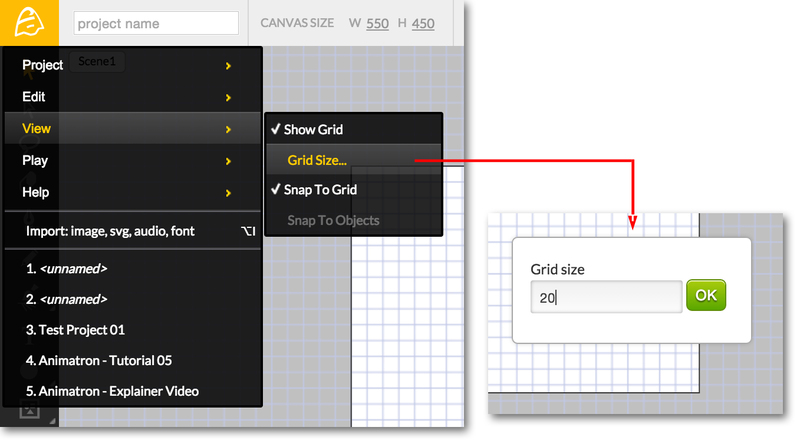 Snap To Grid activates the ability to snap canvas objects to the nearest grid corner. Snap To Object will allow you to snap selected objects to other objects currently placed on the canvas. 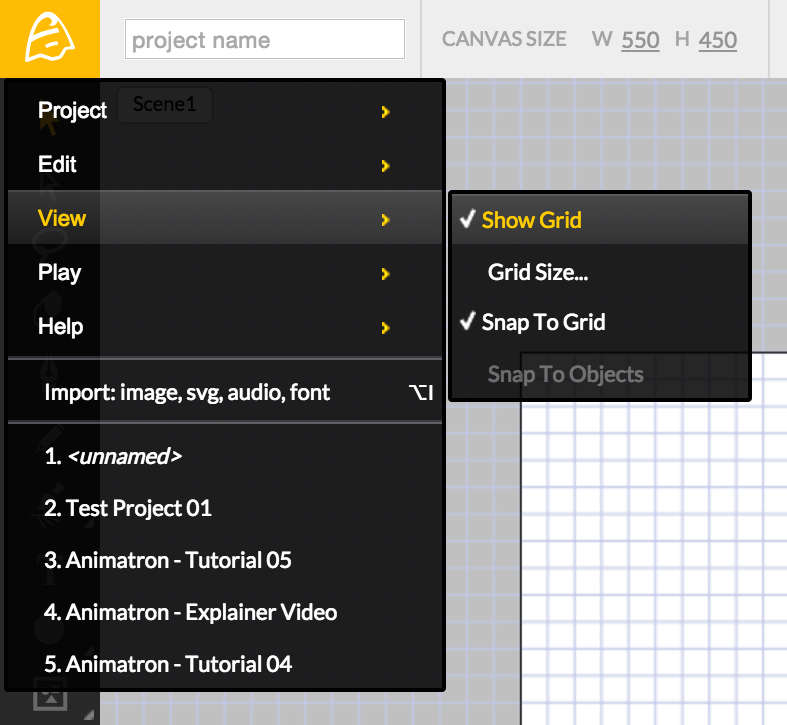 While active, the Show Grid and Snap To Grid features are shown with checkmarks to the left of their option label, as shown above. Clicking on these again, will deactivate them, hiding the grid from view and disabling the snapping type. 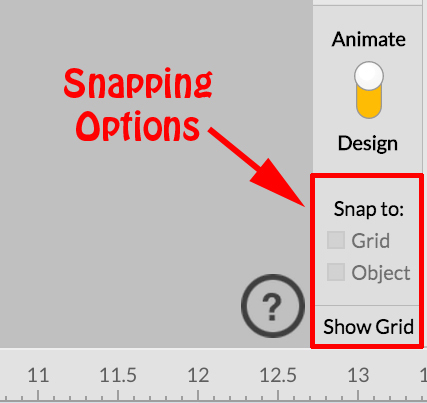 Quickly access these same snapping options, shown above, by utilizing the toggles underneath the Animate/Design Switch. 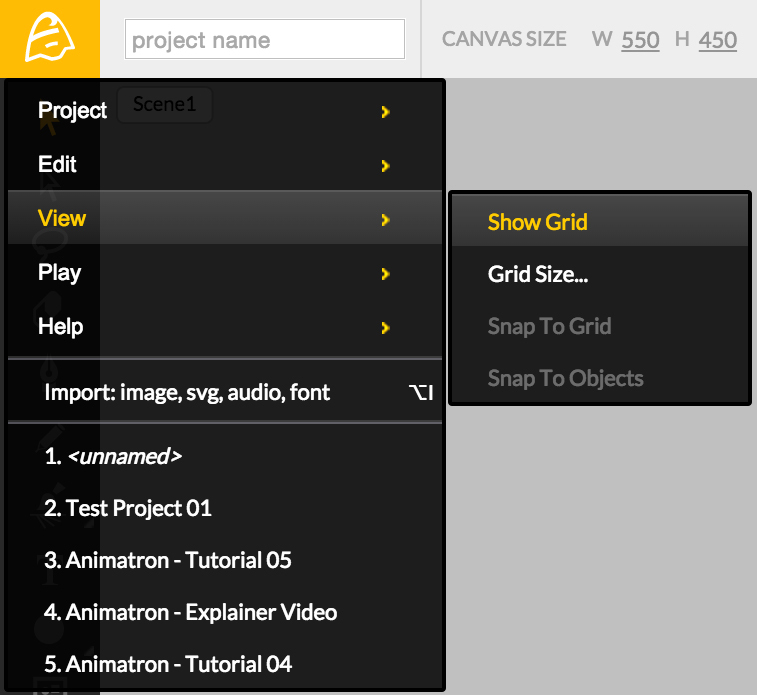 Simply, click on Show Grid, before toggling the Snap to Grid and Snap to Object options. Who knew that just one menu could be so assistive with manipulating our scene assets on the canvas? Let’s continue our breakdown of these helpful submenus by looking at our Play options, next, in part 4!